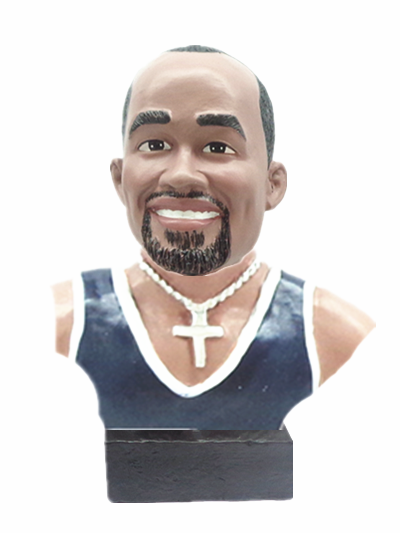 Become a Male with Cross Custom Head Bust Statue. A great mantle or desk piece. We'll put your likenesses on these based on the photo you provide to us. This piece is a male in a tank top / a cross with your head. The dimensions are approx. 7" by 4".